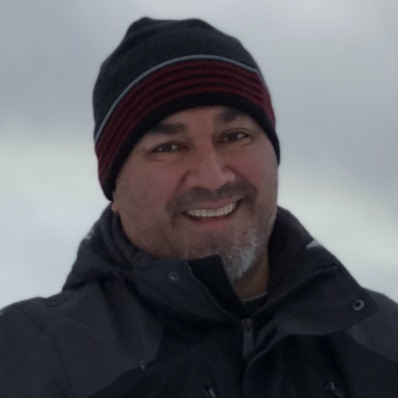 Carlos I. Mejia, 47, of Bristol, beloved husband of Diana (Ospina) Mejia, passed away on November 6, 2018 at Bristol Hospital. Carlos was born in Mexico on March 14, 1971 and was a son of Elisa (Leon) Rojas and the late Carlos Mejia. Carlos was raised in Utah where he graduated from Kearns High School and University of Utah. He moved to Bristol ten years ago. In 2004 he met the love of his life, Diana, while working at Telemundo Network in Miami. Carlos and Diana were happily married since 2008. He was a parishioner of St. Joseph Church, Bristol, and was a loving husband, amazing father and exceptional human being. He has been in the T.V. industry for 29 years and worked as a show director at ESPN where he was very talented, enthusiastic and energetic. Carlos was well liked and a friend to all. He will be terribly missed. In addition to his wife and mother, Carlos is survived by his step-father: Jesus Rojas; a son: Carlos Mejia of Bristol; a daughter: Isabel Mejia of Bristol; three sisters: Mirna Rojas, Araceli Adams, Maritza Erickson and her husband Cameron all of Utah; 8 nieces and nephews; and a grand-nephew. In addition to his father, he was predeceased by a brother: Jesus Rojas. A Mass of Catholic Burial will be celebrated on Saturday November 10, 2018, at 11:30 A.M. at St. Joseph Church, 33 Queen Street, Bristol. Burial will be at the convenience of the family. Relatives and friends may call at Funk Funeral Home, 35 Bellevue Ave., Bristol on Friday between 6 and 8 PM.